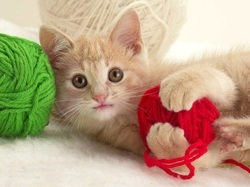 Volunteering is critical to the health and wellbeing of the cats and dogs living at the shelter. All your time and effort is greatly appreciated. Volunteers must be 18 or older. Only trained volunteers are allowed to work with the animals. 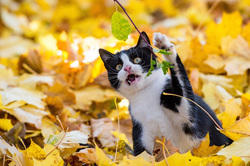 The shelter animals need your full attention while you are here, so you are not allowed to invite your friends or family to accompany you during your shift. Please feel free to recruit friends and family to become volunteers. If you'd like to volunteer, please click the link below. If you are volunteering as a student, you need to click the student link. I want to be a student volunteer! Volunteers, please sign in every time you volunteer. Use the Volunteer Login button above. 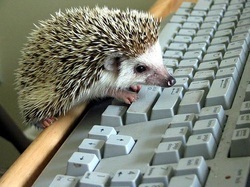 ​The number of volunteers and the hours that they work helps us to secure grants to keep our program strong. For first time walkers, arrive 15 minutes before each session for orientation. On your first day as a dog walker, you will need to request Dog Walker Orientation. The orientation only takes about 15 minutes, so you must arrive early for dog walking that day. Orientations are Monday, Tuesday and Wednesdays, 15 minutes prior to the start of dog walking hours. All dog walkers are required to attend a session. If you plan to be a morning or weekend walker and the orientation on Monday, Tuesday and Wednesday afternoon does not fit with your schedule, email dogwalker@benchs.org. A coordinator will work with your schedule to do a one-on-one orientation and training. Please check in at the front desk. You are expected to clean up after the dog -- bags are provided. When you are finished, check out at the front desk. Often times the population of dogs at BENCHS is dominated by large powerful dogs. Bearing that in mind the parent/youth combination of walkers will be able to walk a dog only when an appropriately mannered dog is available to walk. If the staff and/or desk volunteer feel that the available dogs pose a challenge to the pair they will not be sent to walk with a dog. As disappointing as that might be, we must insure that the adults, youth, and dog all remain safe. ​Youth who are 10 years old or older may walk with a parent. Non-parents over the age of 18 must provide a letter from the parents of youth to indicate they are acting as guardian to the youth. The parent/guardian will complete the volunteer application and sign the liability waiver. The parent/guardian accepts all responsibility and liability for the activities of the walk and insures that all return to the shelter safely. We strongly suggest that only one youth walk with the parent/ guardian. Any combination of parents or guardians and youth that are active in the walking program prior to April 1, 2018 and are not 10 years old may continue to participate and be “grandfathered in”. The parent/guardian will maintain control of the leash and dog AT ALL TIMES. Youth must not hold the leash. If you find you really love dog walking and can make a weekly commitment, please let the person training you know. Additional dog walking hours are available to trained and approved volunteers. The greatest need is for committed walkers, whether it is for one hour a week or more, whatever works with your life schedule. Walkers are expected to commit to walking once a week for a period of at least 3 months. 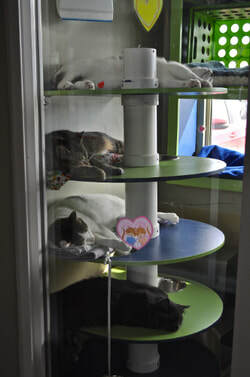 Volunteer at BENCHS to help out our feline visitors our new Adopt-A-Condo. Give love, clean the condo and help to reduce anxiety of the kitties. 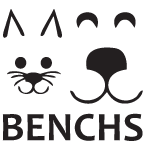 Whatever reason you have for wanting to volunteer at BENCHS, the Adopt-a-Condo program is a great one to consider for cat lovers. We receive kittens and puppies at the shelter that are too young to be placed up for immediate adoption. We also receive cats and dogs with minor illnesses or injuries that require temporary in-home care. Fostering an animal can be a lot of work, but it provides much needed socialization and a greater chance of survival for the animal. If you are up to the challenge, it can be most rewarding. Are you able to monitor the health of the animal? 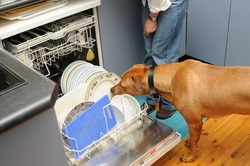 Are you able to separate the foster animal from your own? Are you emotionally prepared to give up the animal at the appropriate time? Email the program coordinators to schedule a meeting to foster today! A great portion of every day at RRPS is dedicated to cleaning. 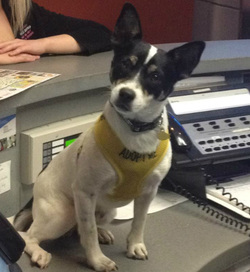 Stafff the front desk during adoption hours. MNSNAP: The spay/neuter mobile arrives once a month (7:30 - 9:30 a.m.) and volunteers are needed to assist with check-in. We are looking for someone to take over as editor for our monthly e-newsletter. Position requires regular communication with the Board of Directors and Shelter Manager on content, ensuring articles are submitted in a timely manner, proofing for spelling and grammatical accuracy. The editor may also be responsible for creating content. We are also in need of writers for short e-newsletter articles. Writers may be asked to conduct interviews and do research. Ability to meet a deadline, accurate spelling and grammar is required. If you would like more information, please email Board Member Sharon. SNOW REMOVAL. Searching for a committed volunteer(s) to help with the removal of snow on our sidewalks, walking paths for the dogs and near our garage doors. Our snowblower has just been tuned up and ready for use. Our many events need posters, handouts and publicity materials. There is a continuous need for blankets, beds and toys.